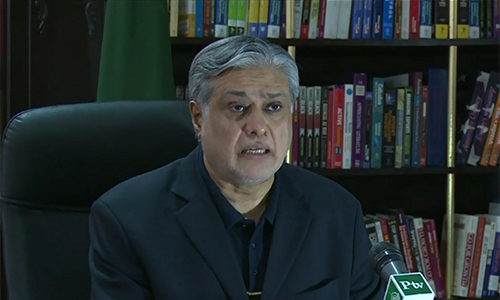 ISLAMABAD (92 News) – Finance Minister Ishaq Dar on Friday refused to withdraw the withholding tax. Ishaq Dar said that talks had been inconclusive and their next round would be held on Wednesday. Addressing a press conference after talks with the FBR, Khalid Pervaiz said that the talks with the FBR had ended and they would not accept withholding tax at any costs.